Earlier this month, Twin Cities-based artist Lizzo released a terrific ’80-evoking video for her single “Juice,” leading some to wonder if a new album was finally on the horizon. Wonder no more: There’s a new record coming out, and Lizzo will be hitting the road to spread the gospel of its arrival. The new album, titled Cuz I Love You, is set to be released April 19, according to a new Instagram post Lizzo put up this morning. This marks the rapper-singer’s first release since 2016's Coconut Oil EP, and her first full-length since Big GRRRL Small World the year prior. A headlining tour accompanies the new record, beginning April 24 in San Francisco and continuing throughout May. No details on the record yet, other than “Juice” will be on there, which means you already know at least one track absolutely slaps. 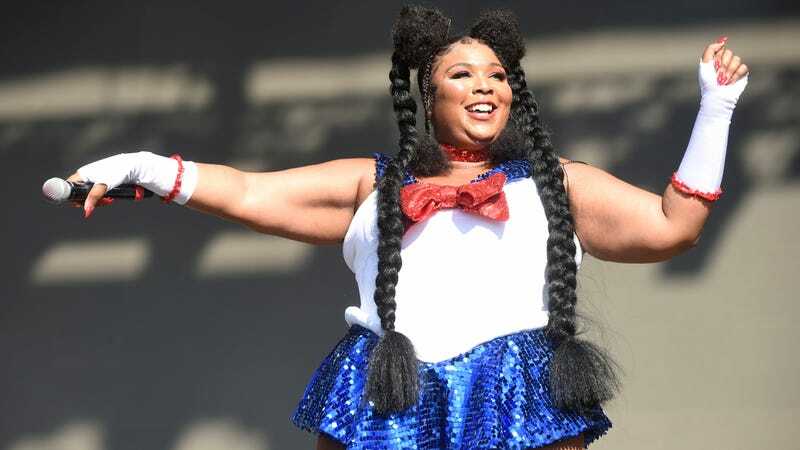 The complete list of tour dates, including her two Coachella appearances, can be found on Lizzo’s website. It&apos;s a new year and a new Lizzo in the pop star&apos;s hilariously retro video for "Juice"